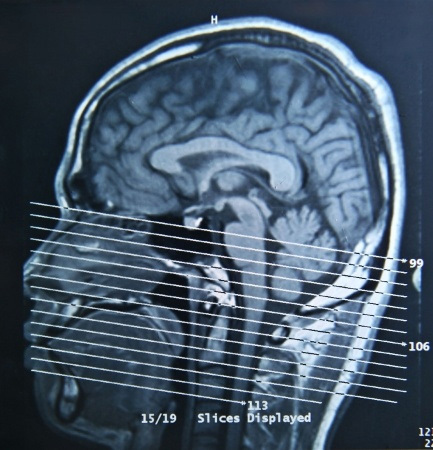 Brain Injury Category Archives — Massachusetts Injury Lawyer Blog Published by Boston, Massachusetts Injury Attorneys — Breakstone, White & Gluck, P.C. Breakstone, White & Gluck cares about bicycle safety in Boston and across Massachusetts. Over the past four years, our attorneys have donated brand-new bicycle helmets to children who need one through our Project KidSafe campaign. Wearing a helmet is the most effective step a cyclist can take to prevent a brain injury in a car accident or fall on a bicycle. While important for all cyclists, wearing a helmet is especially important for children, who are still growing and in development. Breakstone, White & Gluck is nearing the end of the fourth year of our Project KidSafe campaign. Since 2013, our campaign has donated over 10,000 new bicycle helmets to children who needed one. Along the way, over 40 community groups, bicycles safety organizations, police departments and schools have pitched in to help us protect children. Many of these groups help us year in and year out. Breakstone, White & Gluck recently teamed up with the Randolph Police Department to help children ride their bikes safely and prevent serious head injuries. We were pleased to donate 100 bicycle helmets to Randolph Police in August. Officers distributed the helmets to children who needed one at the Back to School Jamboree. The event was hosted by Randolph Public Schools and was held at the Randolph Community Middle School. 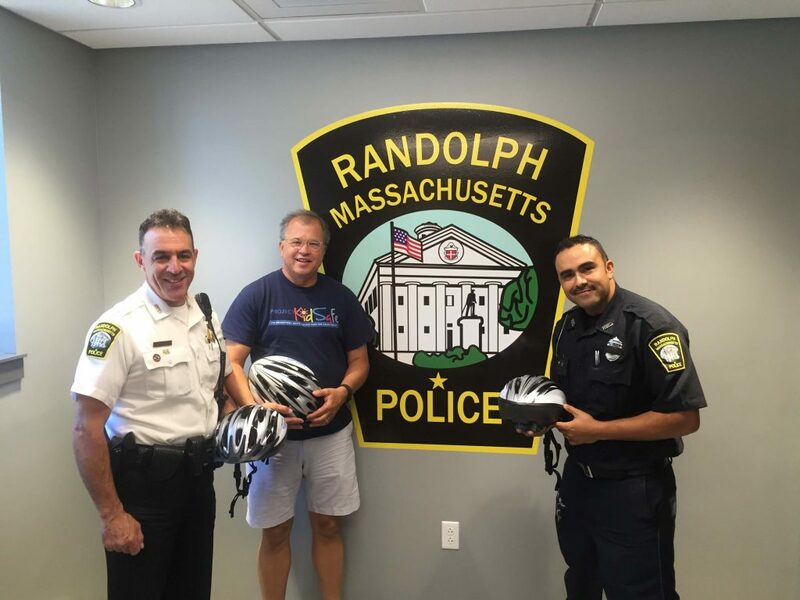 Photo: Attorney David White delivered bicycle helmets from our Project KidSafe campaign to Randolph Police Commander John Hamelburg and Officer Miguel Cruz. 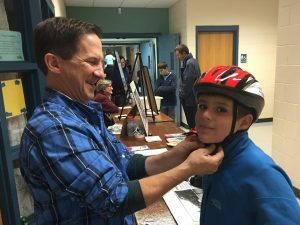 Attorney Marc Breakstone visited Somerville yesterday to help distribute new bicycle helmets to fifth-graders. But first he wanted to talk about their commitment to bicycle safety. “Is everyone ready to take a pledge?” he asked. The Food and Drug Administration (FDA) is warning parents and others concerned about sports concussions that certain dietary supplement makers are making false claims. The FDA issued a Dec. 31 warning, advising consumers to avoid dietary supplements claiming to prevent or treat concussions and other traumatic brain injuries (TBI). The common claim is the dietary supplements promote faster healing times after a head injury. But the FDA said there is no scientific evidence to support this claim and it has the potential to cause serious injury. Athletes who return to play too soon because they believe they are cured risk long term health consequences. Repeated injuries which do not fully heal can cause brain swelling, permanent brain damage and long-term disability. They can also be fatal. Over the past several years, many states have passed legislation to protect student athletes and professional sports leagues have made changes to protect players. In August, the National Football League (NFL) reached a $765 million settlement with 4,500 former players who suffered long-term injuries from concussions. Some of the money will help fund new research into chronic traumatic encephalopathy (CTE). This condition, which causes mental impairment, aggression and dementia, is linked to repeated hits to the head. But it can currently only be diagnosed after death. In its recent update, the FDA also broadly warned consumers about all products labeled as dietary supplements which are marketed to cure, mitigate, treat or prevent disease. Dietary supplements are regulated differently than other food products and drugs. There are over 85,000 supplements available today, but they require no approval before going to market. Under the Dietary Supplement Health and Educational Act, the manufacturer is responsible for ensuring a product is safe before going to market and the FDA can take action against any unsafe product after it starts being sold. In this case, the FDA acted on a tip from the U.S. Department of Defense and conducted market surveillance. It found two companies making improper claims: PruTect Rx of Highlands Ranch, Colorado and Trinity Sports Group Inc. of Plano, Texas. It issued warning letters in September 2012 and both companies changed their websites and labeling. But in December 2013, the FDA had to warn a third company, Star Scientific, Inc. for marketing a product called Anatabloc with claims to treat TBIs. The FDA said consumers may come across these dietary supplements on the Internet, social media sites such as Facebook and Twitter and retail outlets. They often promise to heal TBIs with ingredients such as turmeric, an Indian spice, and high levels of omega-3 fatty acids derived from fish oil. Can a Dietary Supplement Treat a Concussion? No., FDA Update. American attitudes about football are changing–even though the sport remains as popular as ever, more adults are re-thinking whether their children should risk head injuries by playing football. A new study by HBO Real Sports and Marist College Institute for Public Opinion surveyed more than 1,200 adults by phone in July and reports most have learned about the connection between concussions suffered while playing football and long-term brain injury. As a result, one in three adults say they would be less likely to allow their own son to play if given the choice. Ultimately, 85 percent would let their son play, another 13 percent would not and 2 percent are unsure (The study did not report on how respondents would feel about letting their daughters play). Seven out of 10 Americans think the benefits of playing outweigh the risk for injury. Also, 74 percent of Americans think football is a good way to build character and boys should be encouraged to play. One notable point is Americans seem to be placing trust in coaches, parents and even players themselves. Some 30 percent say they are less concerned about the risk of long-term brain injury because these individuals are more informed now and can take greater precautions. The majority of states have passed concussion prevention laws for high school athletes. Massachusetts passed a law in 2010, which requires students, parents and coaches to receive annual training on recognizing and treating concussions. Student athletes who are suspected of having suffered a concussion must be removed from play and receive a doctor’s medical clearance before returning. Schools must also report concussions to the state Department of Public Health. 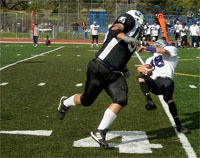 The law covers high school and middle school athletes in football, soccer and all other sports. 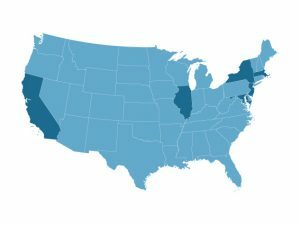 Today, 49 states have concussion prevention laws. The only exception is Mississippi. Washington was the first state to pass such legislation. In May 2009, the state passed the “Lystedt Law,” named after 13-year-old Zackery Lystedt suffered permanent brain injury in 2006 while playing in a junior high school football game after suffering a concussion. 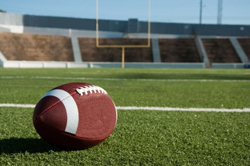 In August, after the survey was conducted, the National Football League (NFL) agreed to settle a class-action lawsuit brought by more than 4,500 players and their families. The settlement, the result of court-ordered mediation, includes $5 million for men with Alzheimer’s disease, $4 million for those diagnosed after death with a brain condition called chronic traumatic encephalopathy and $3 million for players with dementia. The suit alleged the league concealed what it knew about concussions among its players and failed to protect them from repeated hits in the game. Plaintiffs included Hall of Famer Tony Dorsett, Jim McMahon and the family of former New England Patriots’ start Junior Seau, who committed suicide in 2012. Pop Warner is the nation’s largest youth football league, serving over 250,000 children between the ages of 5 and 15. In recent years, the league has implemented its own safety rules. One rule limits the amount of contact players have to one third of practice time. Another is “when in doubt, sit it out,” when a concussion is suspected. But enrollment has not decreased as public awareness has grown about concussions and football, officials recently told CNN. Enrollment has increased one percent annually for the past ten years, through 2012. Youth Football Takes Hard Hit… One-Third of Americans Less Likely to Allow Son To Play Football because of Head Injury Risk, HBO Real Sports/Marist Poll. Only 31 percent of Massachusetts high schools and middle schools complied last year with a state law mandating reporting on student athlete concussions. State officials are hoping for greater compliance when new figures come due August 31. In 2010, Massachusetts passed a law aimed at identifying and preventing concussions among student athletes. Under the law, 689 public and private schools were required to report data for the 2011-2012 academic year. However, only 213 schools submitted figures, and those figures showed that 3,450 students had suffered a head injury or suspected concussion in sports. The figures were recently reported in The Boston Globe. To encourage reporting this year, the state has changed its form to make deadlines appear more prominent and provide definitions for data. A concussion is a mild traumatic brain injury caused by a force to the head, such as a fall or car accident. Symptoms typically include headaches, dizziness and memory problems. Left untreated, it can result in long-term brain impairment. In recent years, focus has been on preventing concussions in sports at every level, from the National Football League (NFL) to high schools down to Pop Warner football leagues. Massachusetts is one of 47 states which have passed so-called “return to play” laws since 2009. The state of Washington passed the first concussion in sports law in 2009. The Massachusetts sports concussion law requires students, parents and coaches to receive annual training to recognize the signs of a concussion. 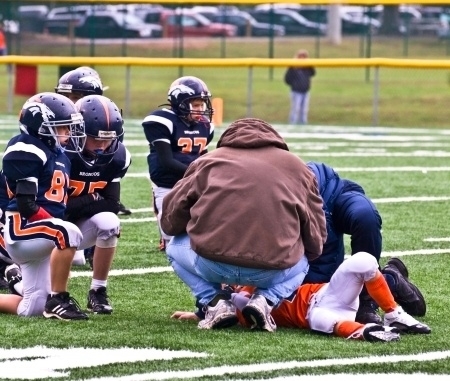 Students who sustain a concussion are required to sit out and obtain a doctor’s written permission to return to the game. As a final step, schools must report figures to the Massachusetts Department of Public Health (DPH). Public schools and those subject to the rules of the Massachusetts Interscholastic Athletic Association (MIAA) must comply with the law. Sports and recreational activities cause 3.8 million concussions each year in the United States, according to the Centers for Disease Control and Prevention (CDC). When an athlete suffers a concussion, they become at risk for suffering another one. Proper rest is important, and teenagers, along with older adults and young children, are believed to have longer recovery periods. If you are the parent of a student athlete, summer is a good time to learn about the law. Ask your child’s coach when the school will hold concussion training sessions. You can also read a summary of the Massachusetts sports concussion law. State revises concussion reporting after weak response from schools, The Boston Globe. In a new study, Boston University School of Medicine researchers autopsied the brains of deceased athletes who suffered repeated concussions and found the majority showed signs of a degenerative brain disorder called chronic traumatic encephalopathy (CTE). The researchers autopsied 85 deceased brain donors, including 82 athletes. This included 34 professional football players. Researchers found a buildup of an abnormal brain protein called tau in 68 brain donors. By contrast, they autopsied 18 brains with no known trauma and found no protein buildup. Tau is associated with CTE, a degenerative condition linked to memory loss, depression and dementia. The autopsies found the most extensive brain damage in the professional athletes who died after age 50. They experienced the most severe memory loss and personality changes in their final years. The football players included National Football League (NFL) Hall of Famers running back Ollie Matson and Colts tight end John Mackey. Both died last year after suffering from dementia. The researchers also described the four stages of CTE. In the first stage, the injured individual experiences headaches and trouble concentrating. Symptoms progress to depression, aggression and short-term memory loss, followed by serious cognitive impairment and dementia. Last spring, more than 3,000 former players filed a lawsuit against the National Football League, claiming the league hid information about football-related head injuries. The NFL claims the head injury lawsuits have no merit and asked a federal court in Philadelphia to dismiss more than 100 injury claims, saying they should be resolved through the NFL’s collective bargaining process rather than the courts. Many states, including Massachusetts, have also implemented laws in recent years which mandate concussion training for high school athletes and provide rules for how long students must sit out after a head injury. The research was reported in the journal Brain. Boston researcers find new evidence linking concussions to permanent brain injury, The Boston Globe. Evidence of brain damage from repeat concussions mounts, The Boston Globe. NFL asks federal judge to dismiss concussion lawsuits, NFL.com. BU-Led Research Maps the Route to Dementia, BU Today. Head injuries and concussions being tracked among Massachusetts student athletes, Massachusetts Injury Lawyer Blog.